Home > Blog > Feeling a little exhausted? 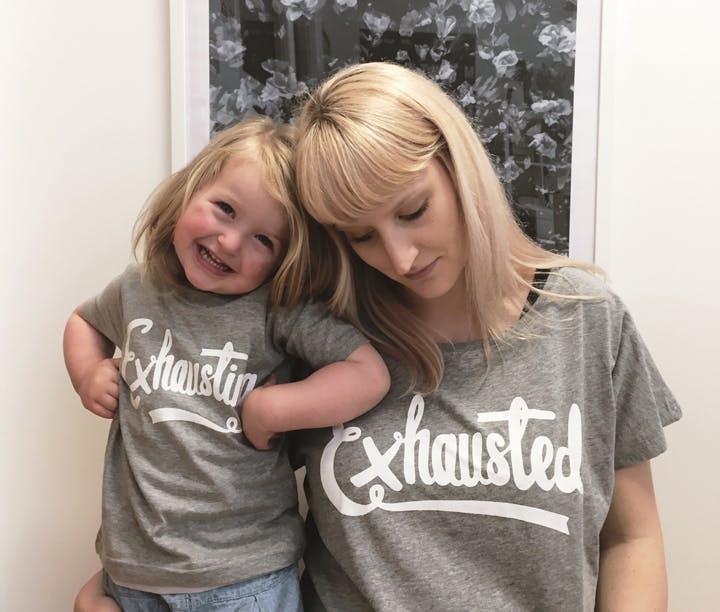 Lately we've realised that our darling daughter June is much more exhausting at 2.5 years than she was as a baby, so we decided to start printing our 'Exhausting' design on a toddler size tee! You can now get the exhausting design in a babygrow in sizes 0-3 months, 3-6 months, 6-12 months and as a t-shirt in sizes 12-18 months, 18-24 months and 2-3 years. 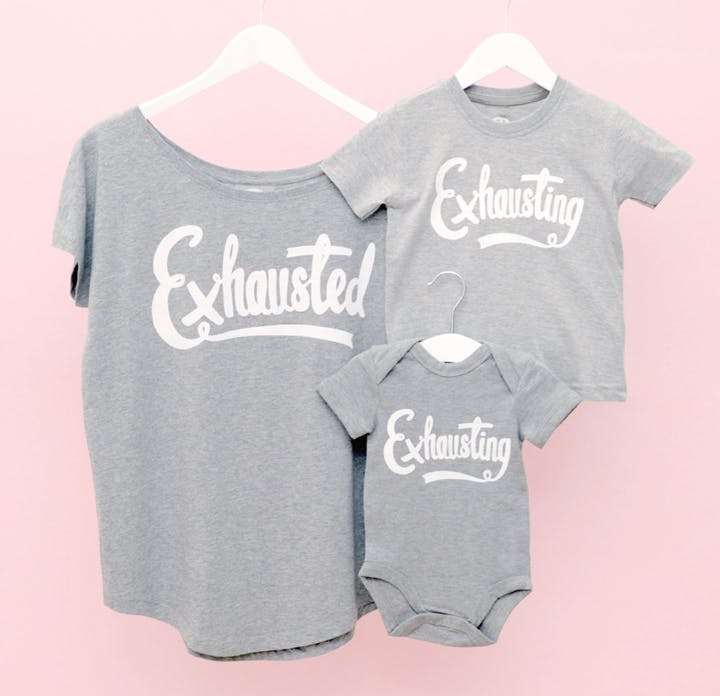 The ladies 'Exhausted' tee is perfect for all the mega tired mums out there, and is available in grey and black. There's also a matching tee for dad too! You can check them all out by clicking here and grab matching shirts for your whole family! Fancy winning a set of three exhausted/exhausting tops? We're running a little giveaway over on Facebook so do check it out here!